This project addresses how we behave in designing with/for/across different communities as well as mutual learning from diversity. The important issue of developing an ethical perspective to facilitate more democratic ways of doing design has been a main focus. 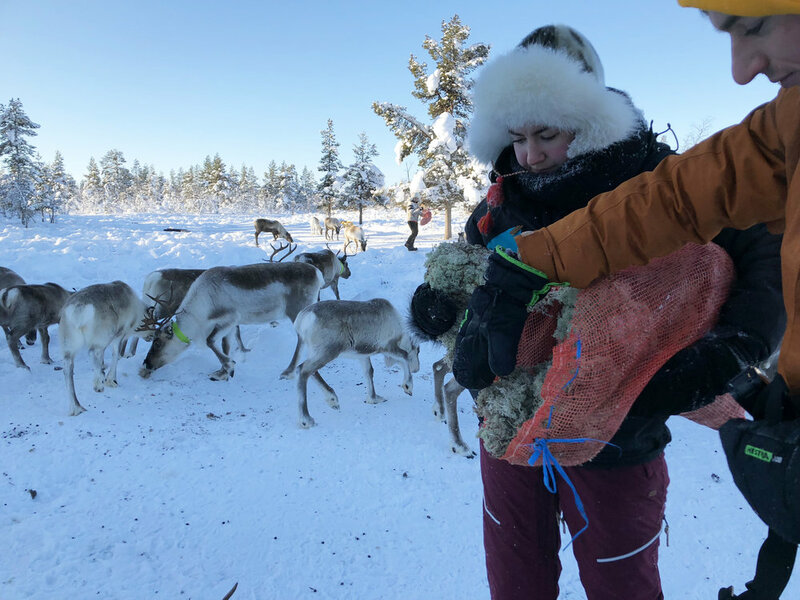 The project started with participatory field work in an indigenous Sami reindeer herding community in the very north of Sápmi, Sweden, where our team participated in the every day life of the community. The aim for the project was a mutually beneficial learning, change and exchange in a process of design for co-creation. The output of the project was an interactive exhibition highlighting our experiences and learning processes in the encounter between different communities, in this case a Sami community and a team of design students. The ambition was to shift from portraying communities through “otherness” towards portraying “we-ness”. The final interactive exhibition, "Hi/stories of Change", was a part of the Priority: Minority exhibition at Västerbottens Museum, Umeå, Sweden. The Sami people live in four countries; Sweden, Finland, Norway and Russia, with an estimated number of 80.000 - 100.000 people. What happens when different communities look into each other’s curious eyes? Before leaving the university the students in my course were divided into three teams with three different destinations, all in Sápmi in northern Sweden. 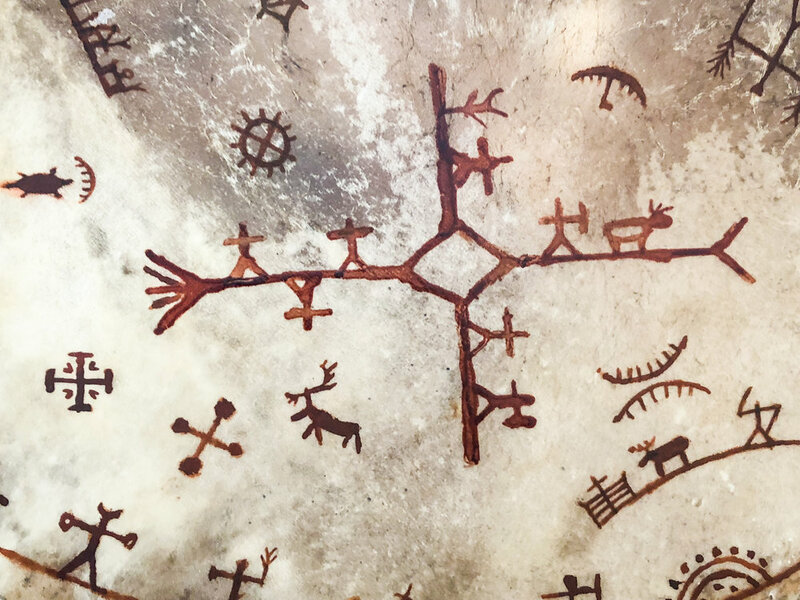 When preparing for the journey and the encounter with the Sami reindeer herding community, my approach was to have an open mind trying to see and understand as much as possible through participatory observations. I brought some main questions with me: How can we create beneficial meetings? How do different groups see and look at each other? What happens in the intersection of these looks? And finally, how do we, as designers, balance between the homogenized and diverse views of people? As some of the pictures above illustrate, we took part in a wide range of activities during our stay. 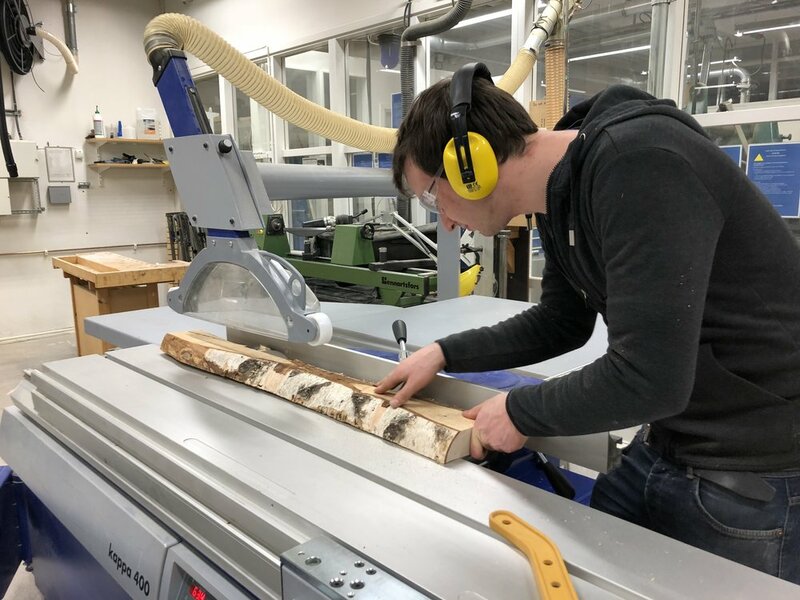 For example feeding and moving the reindeers, meeting various Sami craftsmen and artists as well as learning about the dark history of the Sami population and their endeavors to survive. Instead of doing traditional interviews, we participated in numerous conversations and discussions concerning sustainability, cultural heritage, language, education and living conditions for an indigenous population. A lot of the time were spent outdoors in almost -30 °C. It strikes me the vital importance of the reindeer for almost every part of the daily life in a reindeer herding community. 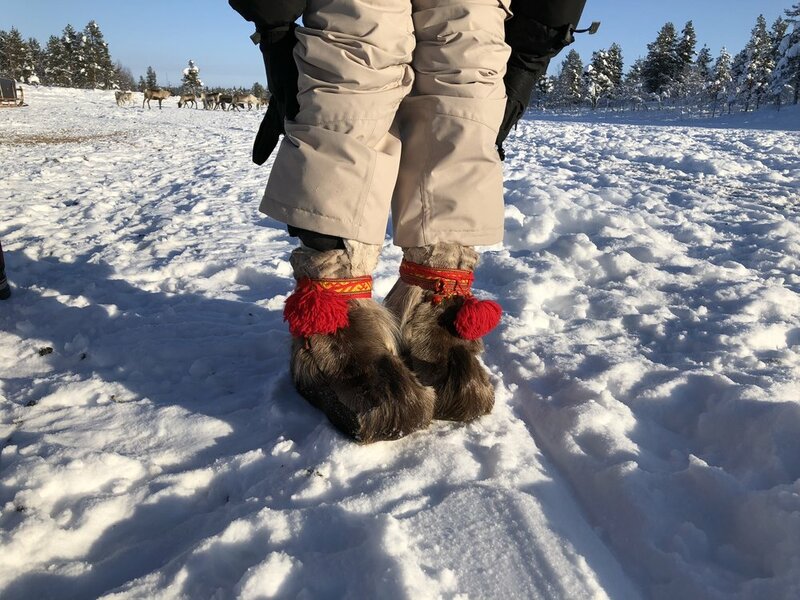 The reindeer is used for so many different purposes; food, clothing, craftsmanship, transportation and economy, with a respectful and sustainable relation to the nature. 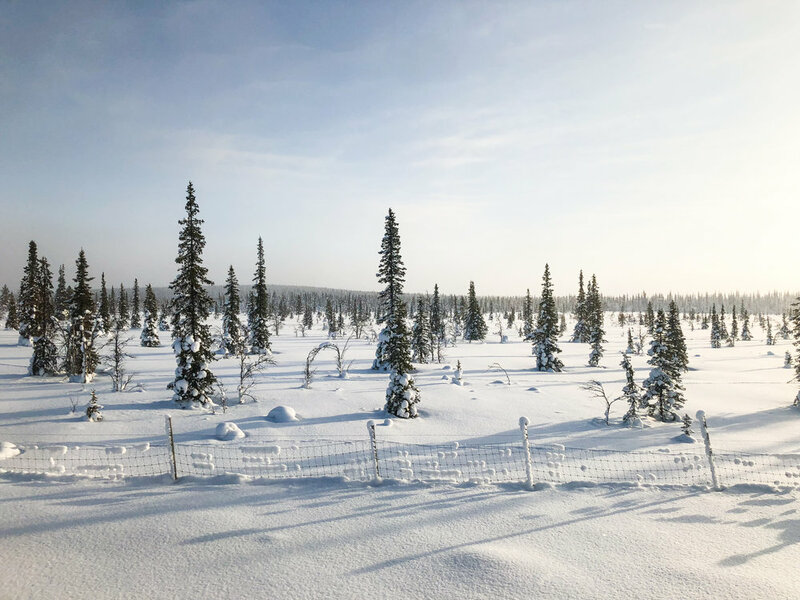 This is also reflected in the vocabulary of the Sami language with rich connections to the reindeer herding. The eight seasons describe the conditions for the reindeers. The three season connected to winter include at least 300 words for different kinds of snow. It is a complex system where everything is linked together and mutually interdependent. But already today the reindeers are influenced by the ongoing climate change. What will happen if the climate change continues? 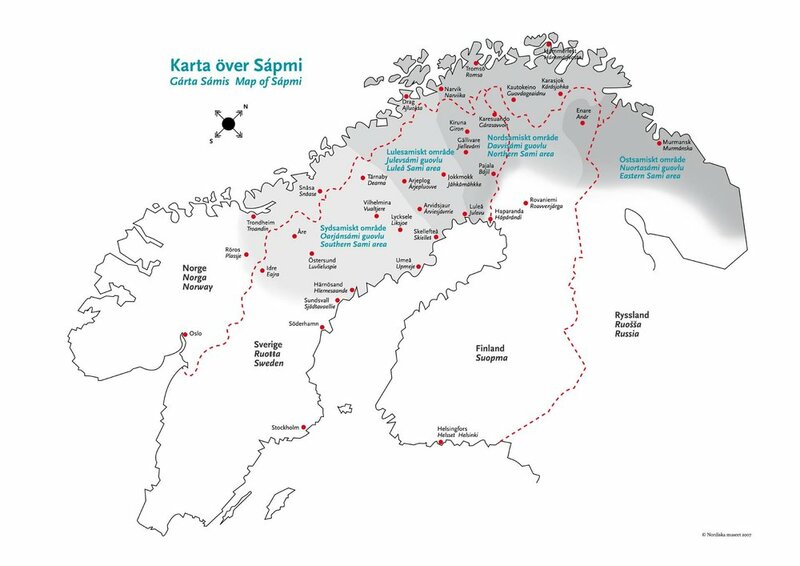 What impact will that have on the Sami peoples lifestyle and living conditions? Transferring traditional knowledge and culture to the next generation start at an early age. This has traditionally been done through oral storytelling using mythology to raise the children's awareness about for example the history, values or handicraft, and other relevant knowledge for survival. Within the field of handicraft some Sami artists we met are today exploring their own artistic expressions in different manners, but always inspired by the traditional form or colors as a point of departure. Today tourism, media, art and music are also common means of livelihood. Through history the Sami population has suffered from oppression and colonizing measures from the Swedish nation-state. People we met told us about language loss as the Sami children were not allowed to speak Sami at school and were forced to study at a lower level than the Swedes. As a consequence of this a vast majority of the Sami population cannot read or write in the Sami language today. They were also forced to abandon their own ancient religion and most of the religious artifacts were burnt or destroyed. Instead the Sami people had to adopt the Christian faith. After our journey and through gaining experiences and insights, we transformed our new knowledge into stories. This part of the process included both workshops in how to tell a story without words, or without telling too much or too little. The aim with writing our stories was to later on use them in a co-creation workshop together with the other teams and some people from the Sami organizations. We are moving a reindeer herd. An old woman is the owner of the herd. There are around ten people participating, including our team. The community has winter families joint together every season to support each other. Its obvious how interdependent the community is. When it is necessary everybody takes part and support one another. The moving of the reindeer herd is much harder work than we imagined. For the co-creative workshop each student in all the teams wrote their own stories with the aim to engage stakeholders, tutors and other students in their ethnographic data and insights. The starting point for the workshop was to organize the stories into themes and hang them under one specific umbrella. In this way we could identify our experiences from the different destinations. We used colored strings to connect or disconnect stories to each other. After the workshop we were able to discover patterns and similarities in between the stories. As a last step before creating the exhibition all the students clustered and organized the patterns and similarities between our stories from the workshop on a whiteboard. This was followed by labeling each cluster with a theme. All the students were then grouped according to fields of interest. The overarching aim for the exhibition was to invite the visitors into self-reflections regarding identity. Our team started with nature as the overarching topic and how related it is to language, freedom, heritage and home in the Sami context. In our further discussions we realized how closely connected all these topics are for most of us and how they influence our own identity. We then started to form associations related to each of the topics and explored how to show these connections in a exhibition context. Soon we discovered that it was not the details under each topic that were important to communicate, but rather how they influence each other and how each person can value them differently. The questions then became how to make each visitor at the exhibition reflect on their own life and how they would value each topic. Our intention with this was to show diverse perspectives. By trying out different prototypes and user tests we explored different ways of how to make people reflect, share and value the different topics. We tried out variations of how to link them to each other and how to display this in an exhibition context. 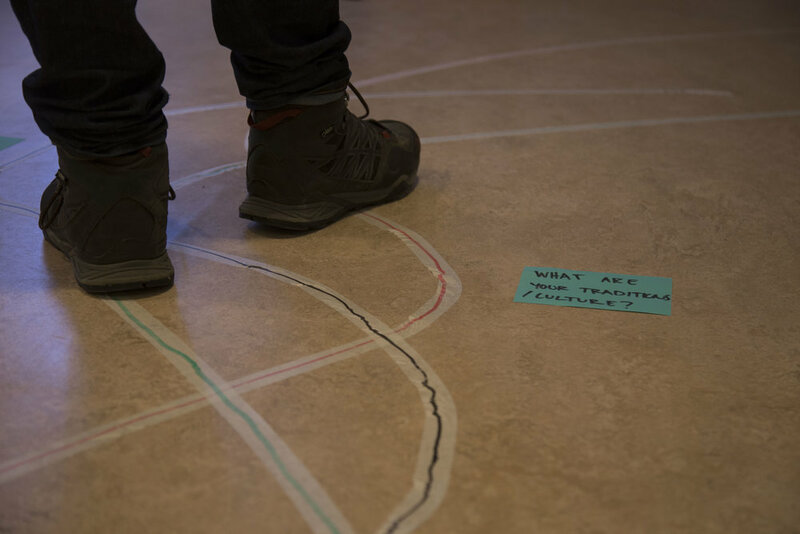 To guide the audience to out piece and make them reflect on their path, we combined questions and different paths on the floor. The questions presented on the floor were open ended and were connected to our topics. 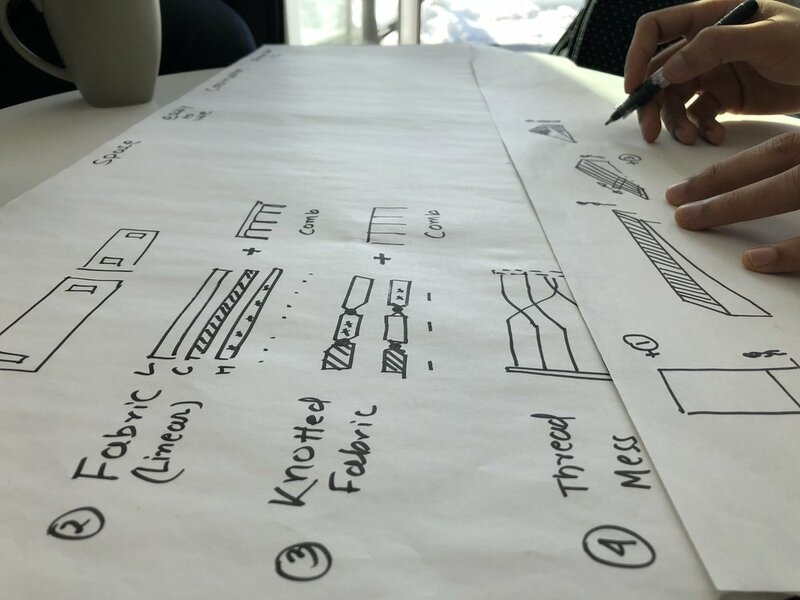 As the topics were all linked together and not isolated, we wanted to connect them, inspired by the Sami weaving tradition. In this way the visitors to the exhibition would together weave one big piece of artwork uniting diverse perspectives, values and identity. In our exhibition we wanted to emphasize the importance of the nature. For that reason we chose to use fabric, rope and wood, all materials from the nature to construct our handloom. The different topics were categorized by using cloths in different colors. 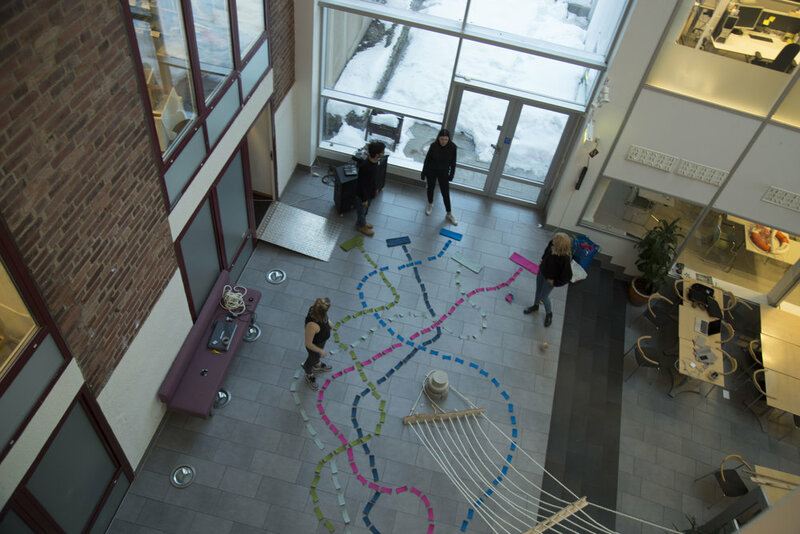 Every topic had a path indicated on the floor with the same color. Connected to the path a question to the visitor was written on the floor to guide the visitors' reflections before choosing and weaving the cloths. After following the path on the floor with questions along, the visitors were supposed to pick up five different cloths symbolizing each topic and put them in an order of priority. When picking the five cloths each visitor needed to tie them together to create a stripe representing the visitors priority of the topics. As a last step of the interaction the stripe of cloths were weaved into the loom and added to the pattern, symbolizing a holistic picture of diversity. During this project I was an active participant through the whole process, from participatory field work to execution of the final exhibition. This also included storytelling, workshop, developing the format of the exhibition, and finally creating the exhibition in the museum. This project gave me new rich insights in the life situation of an indigenous population and their struggle to preserve their identity as distinct people. I also realized how crucial it is to see things from different perspectives and never base your thoughts on preconceived assumptions. This has taught me even more the importance of not falling into the trap of "we" and "them" as a designer, but rather having a strong focus on "we-ness".